The site of Saint Dunstan and All Saints has been a place of worship for East Enders for over 1000 years. The current Grade I listed building dates from the 15th century. A bomb blast during WWII may have taken out the stain glass windows but the building itself miraculously still stands. 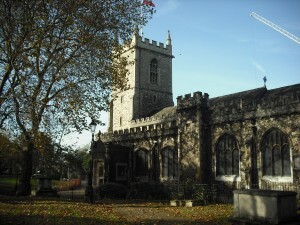 St. Dunstan’s is also known as the “Church of the High Seas” due to its strong connections with the Merchant Navy and marine trades. You can see the Merchant Navy flag The Red Ensign flying from the tower in the picture to the right. Many mariners and merchant navy men worshipped here and were laid to rest in the churchyard. 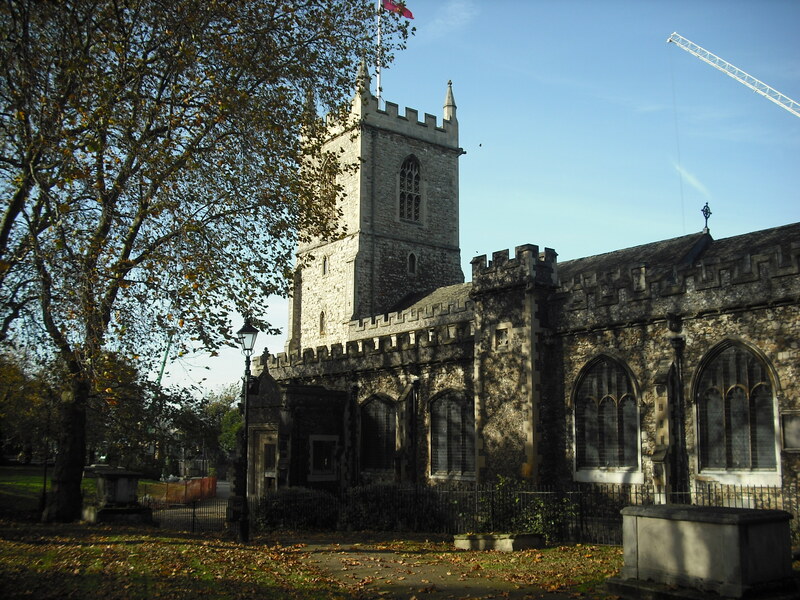 If you have Stepney ancestors in your family tree then it’s highly likely that you will find some trace of them at St. Dunstan’s. Where Are The Original Parish Registers Held? 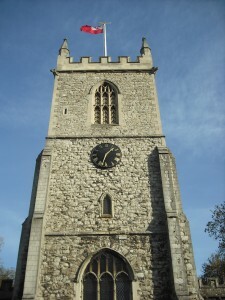 Saint Dunstan and All Saints only hold the most recent parish records. The older registers are kept at the London Metropolitan Archives. If you’re not already a member of Ancestry you can get a 14 Day FREE Trial here. How Can I See The Records Not Yet Available Online? You can view microfilm copies of all the archived records for free at the London Metropolitan Archives. www.stdunstanstepney.com – Saint Dunstan’s website is well worth checking out for its fantastic collection of historical photographs that capture both the church and the community it served.